On 25 March 2017, the World Head of the Ahmadiyya Muslim Community, the Fifth Khalifa (Caliph), His Holiness, Hazrat Mirza Masroor Ahmad delivered the keynote address at the 14th National Peace Symposium hosted by the Ahmadiyya Muslim Community UK. 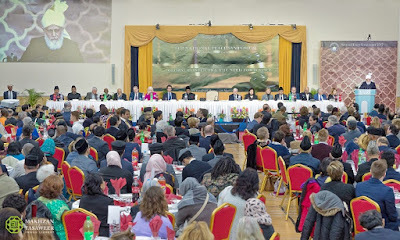 The event was held at the Baitul Futuh Mosque in London with an audience of more than 1,000 people, from 30 countries, including over 600 non-Ahmadi guests comprising Government Ministers, Ambassadors of State, Members of both Houses of Parliament and various other dignitaries and guests. During the event, His Holiness presented Ms. Setsuko Thurlow, a Hiroshima bomb survivor and peace activist, with the Ahmadiyya Muslim Prize for the Advancement of Peace in recognition of her outstanding efforts in campaigning for nuclear disarmament. During his address, His Holiness condemned last week’s terrorist attack in London as a “barbaric atrocity” and labelled all forms of extremism and terrorism as a complete violation of Islamic teachings. Further, His Holiness expressed his grief at continued warfare in the Muslim world, as well as voicing his fears about increasing tensions in the rest of the world. His Holiness also called on world powers to curb the sale of weapons and arms. His Holiness said it was a cause of great regret that extremist Muslim groups had turned certain Mosques and Madrassas into “centres of extremism”, which had fuelled fear and misconceptions about Islam amongst non-Muslims. 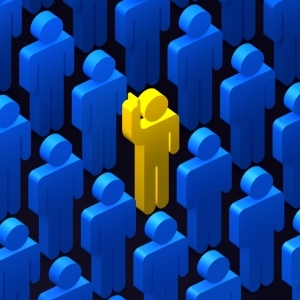 In stark contrast, Holiness said that an inherent part of the worship of God was to serve mankind and to live peacefully with the people of all faiths and beliefs. Based on these Islamic teachings, the Ahmadiyya Muslim Community had established humanitarian projects in various parts of the world, each serving mankind and bringing relief to those in need. His Holiness said that despite the teachings of Islam being categorical in rejecting indiscriminate attacks or killings, many people associated Islam with violence or warfare. His Holiness also spoke about certain individuals or groups from amongst non-Muslims who are “fanning the flames of division and hostility” and cited a Foreign Policy article that described Islamophobia as an ‘industry’ in itself. His Holiness called on world leaders to speak with wisdom and integrity at all times. His Holiness rejected the allegation raised by certain prominent figures that the Holy Prophet Muhammad (peace be upon him) massacred those who did not accept Islam. He said that the Founder of Islam (peace be upon him) only fought as a last resort in order to defend the institution of religion and to establish the principle of universal freedom of belief. His Holiness also praised the response of Prime Minister, Theresa May following the Westminster attack. 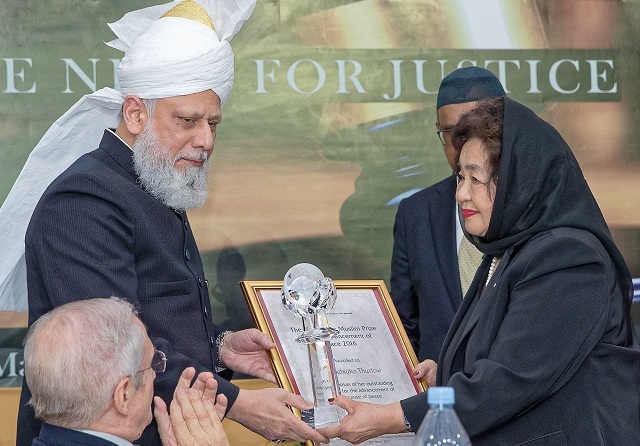 Speaking about one of the causes of extremism, Hazrat Mirza Masroor Ahmad said that a number of reports suggested that some Muslim youths had been radicalised as they felt their religious beliefs had been mocked and ridiculed in the Western world. 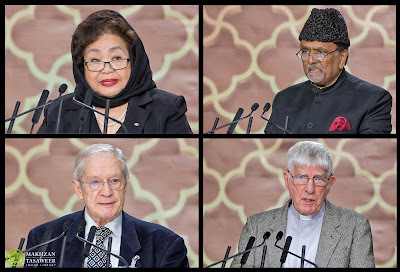 His Holiness mentioned the “golden principle in the cause of peace” mentioned in chapter 3, verse 65 of the Holy Quran, which encourages people to focus on those beliefs that unite them by stating: “Come to a word equal between us and you”. Referring to the theme of the Peace Symposium 2017, ‘Global Conflicts and the Need for Justice’, His Holiness said a lack of justice had “plagued every segment of society” and that whilst it was undeniable that today certain Muslim countries are at the “epicentre of wars and cruelties”, it was wrong to say that the rest of the world was immune from disorder. His Holiness cited numerous reports indicating increased tensions between the United States and China, and similarly between the United States and Russia. Thereafter, His Holiness condemned the international arms trade, which he said was a means of fuelling warfare and ensuring that the world remained bound within a perpetual cycle of violence. His Holiness deemed the argument that the sale of weapons may ‘encourage’ peace by working as a ‘deterrent’ to be “completely senseless” and said such justifications had “caused the world to become embroiled in a never ending arms race”. He also said that no nation should think it is “immune from danger” because history taught that wars “evolved rapidly and often unexpectedly”. His Holiness warned of the risks of nuclear warfare, which he described as “unimaginable” and called on mankind to think long and hard about the type of world it wished to bequeath to future generations. Prior to the keynote address, various dignitaries spoke about the importance of peace and the critical state of today’s world. Rafiq Hayat, the National President of the Ahmadiyya Muslim Community UK, offered his condolences to the victims of the Westminster attack and paid tribute to PC Keith Palmer who sacrificed his life for the sake of defending the nation’s democracy. Further, Father David Standley, representing the Archbishop of Southwark, read out a message from the Vatican in support of the Peace Symposium. Both before and after the proceedings, His Holiness met personally with various dignitaries and guests and also held a press conference with members of media.